Nikki Burgess, Global Brand Director for The Glenlivet at Chivas Brothers, comments: “The Glenlivet Nàdurra is the purest expression of The Glenlivet that captures the original passion and production methods of George Smith’s distillery. We know that whisky connoisseurs appreciate these qualities at the heart of the range, and by expanding the Nàdurra range we aim to consolidate our strong and innovative offering in the craft single malt arena. Each expression in The Glenlivet Nàdurra range is crafted in small batches using traditional production methods and is matured exclusively in a different cask-type, showcasing the versatility and flawless quality of The Glenlivet spirit. Unlike most modern whiskies, the range is bottled without chill-filtration, which offers the additional complexity, body, and texture of a whisky that has just been drawn from the cask. Refreshed packaging demonstrates the handcrafted nature of Nàdurra through prominent batch number and cask-type stamps, an artisanal typeface, an emphasis on the Gaelic translation of Nàdurra, and a distinctive handmade finish. 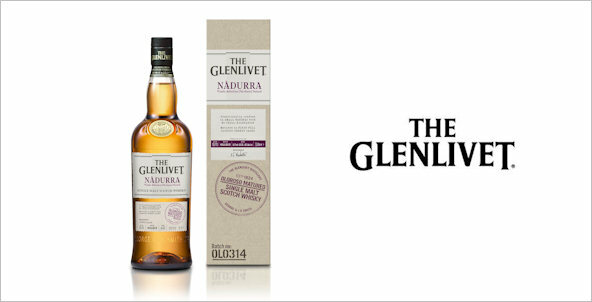 The Glenlivet Nàdurra Oloroso is the first new permanent expression in the range, and is the first major The Glenlivet bottling** in living memory to be matured solely in ex-sherry casks. The first-fill, ex-Oloroso sherry casks from Jerez in Spain impart rich, distinctive dried fruits aromas, warm spices, and notes of cinnamon and liquorice. The spirit combined with the cask influence, produces a sweetness of dark chocolate and a finish which is long and sweet with a slightly dry, spicy effect from the European oak maturation. “The Glenlivet Nàdurra Oloroso presents a rare opportunity to taste The Glenlivet aged exclusively in ex-Oloroso casks, which we anticipate to be extremely popular with whisky fans and an enticing purchase for travellers in Travel Retail when it launches. As we continue to release additional twists on the original The Glenlivet Nàdurra, we look forward to showcasing different cask experiences to an increasing number of discerning drinkers,” adds Nikki Burgess. The Glenlivet Nàdurra Oloroso will be introduced to Travel Retail Europe in May 2014 via immersive experiences to help travellers gain an understanding of the new whisky’s unique taste profile. The Glenlivet Nàdurra Oloroso will be unveiled first at Heinemann Frankfurt airport before launching in London Heathrow Terminal 5 as part of the World Duty Free Whisky Festival 2014. Striking The Glenlivet spaces created in both airports will reflect the brand’s contemporary style, enticing whisky enthusiasts to interact with the new single malt’s tasting notes and explore its rich heritage. In Frankfurt B-East and London Heathrow Terminal 5 travellers will also be invited to enjoy a dram of the new expression while playing a game of pool thanks to the installation of a miniature pool table in the dedicated brand space.